Admission » Visit the Zoo! Chicago to K bus trip – Want to join us for the April 18-19 Visit the Zoo program but do not feel like driving from Chicago? No problem! We will be offering a fun, convenient bus trip from the great Chicago area for this program for only $20! you must register for the April 18-19 Visit the Zoo separately. Overnight on-campus accommodations are available for students on a first-come, first-served basis. Due to overnight host limitations, priority will be given to those who have not stayed overnight on campus before. Housing for parents is not available on campus, although lodging is available in town. Students must submit a signed copy of the overnight visit policy release form prior to their arrival on campus.For all of the Visit the Zoo programs we will provide free shuttles to/from the Kalamazoo Airport (AZO) and to/from the Kalamazoo Transportation Center (train/bus) at specified times. Be sure to reserve a spot on a shuttle when registering for the event and also provide us with your travel information. 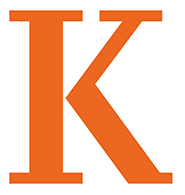 **Attendance at this event constitutes an agreement with Kalamazoo College concerning the capture and use of your image, voice or likeness for educational, academic, advancement, or research purposes. The intended use of these images or recordings includes print publications, streaming video and other forms of online and other media. They are the property of the College and will not be sold for profit.